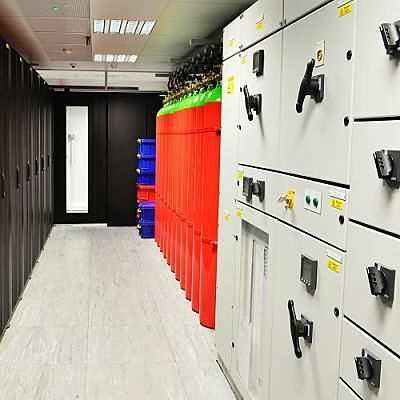 Our comprehensive range of quality products and services provide our clients a complete solution when it comes to your data centre maintenance & support of your computer room design whilst improving efficiencies by driving down data centre costs. Workspace Technology offer a design and build service which incorporates our EcoDesignTM initiative that ensures that your data centre is as energy efficient as possible during the construction and ongoing operation of the facility. Every aspect of your data centre infrastructure can be supplied including; server room cooling, fire suppression, cabling, UPS systems and the ongoing monitoring and control. When it comes to your data centre maintenance we offer a range of support services including; Planned Preventative Maintenance, Emergency Call Out and a range of optimisation tools to ensure that your data centre infrastructure is operating efficiently and effectively as possible. Our range of Consult services include a selection of audits including thermal imaging along with assisting you with your PUE effectiveness and power quality. Security and computer room monitoring are of paramount importance therefore, Workspace Technology provides a selection of remote monitoring solutions so that you don’t have to be watching 24/7. We also provide a range of facilities management services if internal resources are a challenge providing you with the peace of mind that the everything is in safe hands. If you don’t have the budget, space or requirement for an on-premise data centre facility, we are also rack colocation providers. Our DC1 facility based in Sutton Coldfield provides first-class rack hosting for IT professionals, SMEs and Managed Services companies within the West Midlands area. If you require any further information on any of the products and services that Workspace Technology offers please do not hesitate to contact us or call our Sales Team on 0121 354 4984.